UC Innovation Center – Anacleto Angelini. Universidad Católica de Chile, Santiago, Chile, 2014. Photo courtesy of Nina Vidic. Alejandro Aravena founded ELEMENTAL in 2001 in Santiago, Chile with Gonzalo Arteaga, Juan Cerda, Victor Oddó, and Diego Torres. Aravena is a partner and executive director. He is the 2016 Pritzker Prize Laureate and served as the Director of the XV Venice Architecture Biennale. ELEMENTAL focuses on projects of social impact, including housing, public space, infrastructure, and transportation. The firm actively engages with the public and users of its buildings during the design process to execute each project with as much information as possible, because, in their words, “there is nothing worse than answering well the wrong question.” ELEMENTAL sees its design solutions not as diagnoses, but as ways of “organizing the constraints, conflicts, and aspirations” of the people and places each building will serve. As a result, the firm developed a system of "incremental design" for its residential projects. With this approach, it designs communities of attached and semi-detached homes that offer the minimal amount of enclosed living space a family requires alongside an open space that the family may program, develop, and construct over time as they see fit, thus inspiring a sense of ownership. ELEMENTAL’s work comprises a wide range institutional and corporate buildings such as the UC Innovation Center and the Siamese Towers for Digital Technology in Santiago, Chile; the St. Edwards University in Austin, Texas; and the Novartis Biomedical Research Campus in Shanghai, China. Recent projects also include social housing in Chile and abroad including the Entre Ríos development in Yungay, Chile; the Lo Barnechea II housing and community centers in Santiago; and 126 units of housing in Rancagua, Chile. In 2015 ELEMENTAL also designed a school built in Rancagua, and has recently worked on public parks and playgrounds including the Bicentennial Children’s Park in Santiago along with a proposal to open up the city’s Metropolitan Park to more residents with a public promenade. After the 2010 earthquake and tsunami that hit central Chile, ELEMENTAL worked on the reconstruction of the city of Constitución, where the firm integrated its experience working with different building typologies in a city master plan. ELEMENTAL exhibited its work at New York’s Museum of Modern Art, the 2008 Venice Biennial of Architecture, the Triennale in Milan, and at the Whitney Museum, among other institutions. In 2012 Hatje-Cantz published the firm’s first monograph: ELEMENTAL Incremental Housing and Participatory Design Manual. 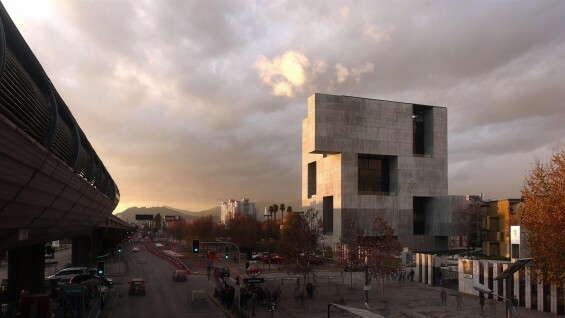 Alejandro Aravena received his master’s degree in architecture from Universidad Católica de Chile in 1992, and taught at Harvard University’s Graduate School of Design from 2000 to 2005. He is the 2016 Pritzker Prize Laureate and, in the same year, served as the Director of the XV Venice Architecture Biennale. He was member of the Pritzker Prize Jury between 2009 and 2015 and named Honorary RIBA International Fellow (2009) and Board Member of the Cities Program of the London School of Economics (2011).